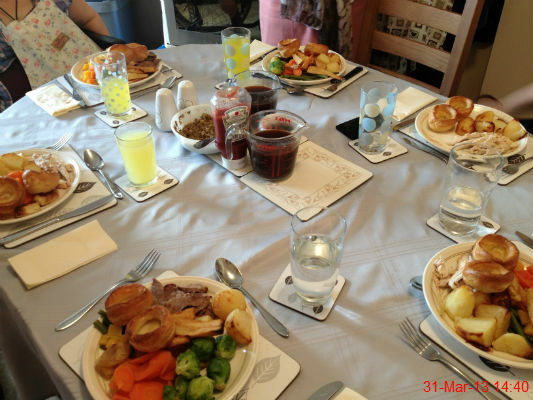 We had a lovely family Easter dinner at my mam's house. 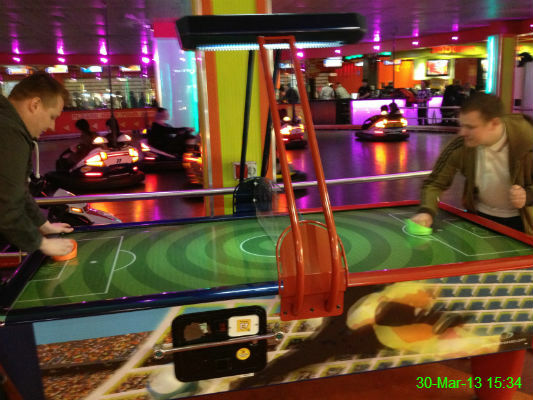 James and Michael battled it out in a game of air hockey at the Metro Centre. The scoring system seemed a bit random at times but they seemed to enjoy it! 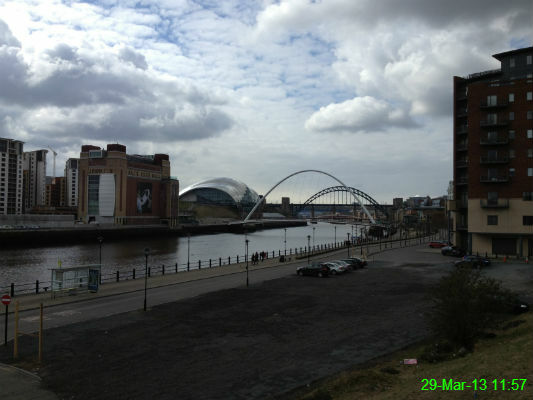 After going to the gym this morning I went for a walk along the Quayside. I always find it an excellent way to clear my mind, but it wasn't quite so fun when it started snowing as I waited for a bus home from Byker. I've probably got about 20 versions of this photo already that I've taken over the years, but it's not a view I ever seem to get tired of. The real Holy Trinity. 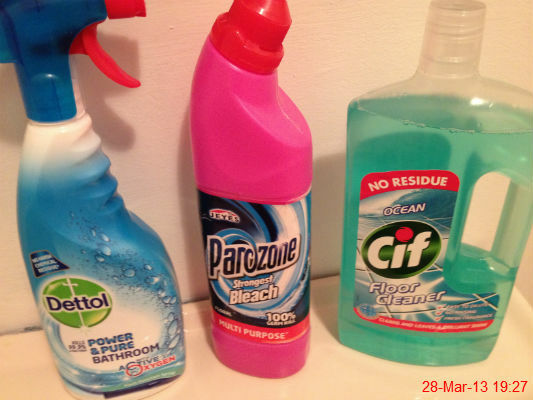 Every home needs a spring clean and Maundy Thursday seemed like an excellent day to begin ours. 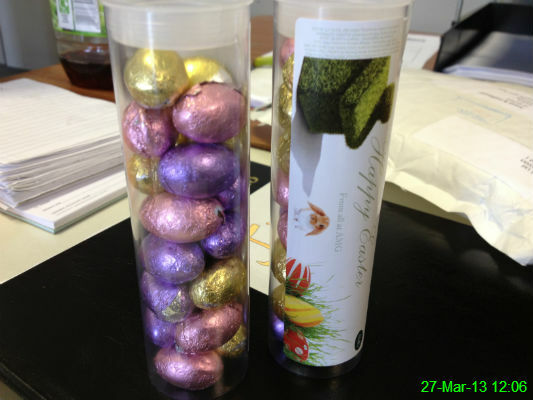 An Easter gift from AMG which arrived at work today. 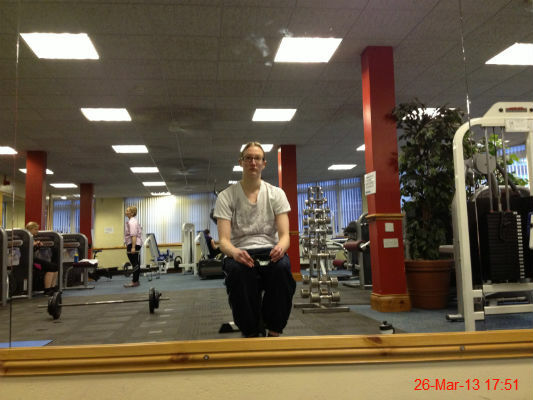 Resting between sets in the gym. I look incredible miserable for someone who spends so much time there! Somehow taking a photo of myself (and, inadvertently, other people) seemed less creepy if I didn't smile. 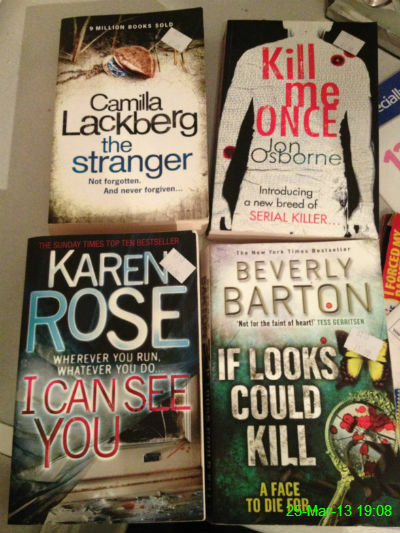 These are the books I bought at the market. I can't wait to get stuck into them. 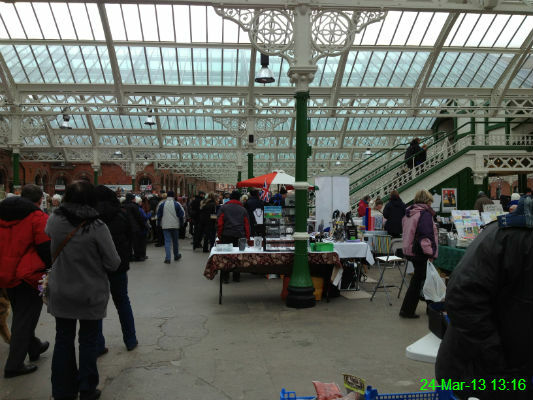 Originally we were going to go for a walk along the coast but since it was absolutely freezing we settled for a wander around the market where I bought four books for £4. Bargain! 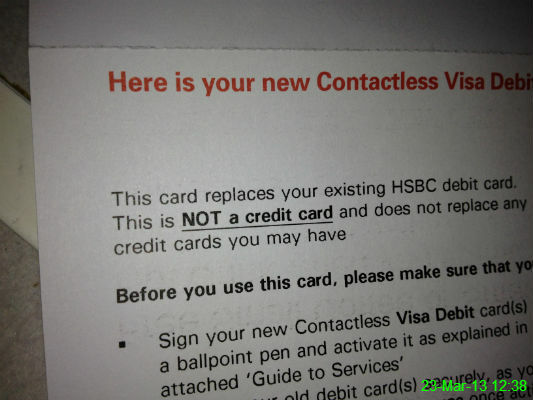 I was just thinking yesterday that my debit card expires next month and my new one arrived today in the post. Leanne is leaving to start a new job so we went to Tiger Tiger for a meal and some drinks. 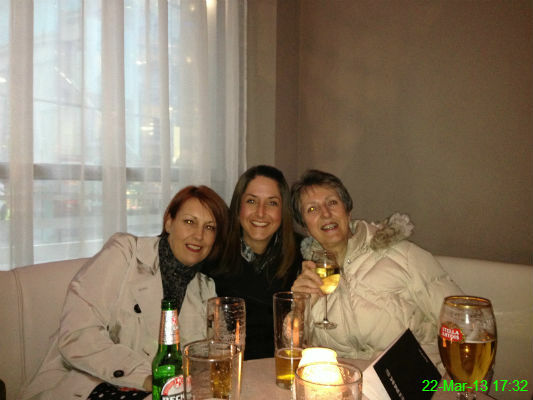 Margie, Leanne and Heather were all wrapped up warm at this point as there was quite a breeze coming in through the open door! Yes it's true. 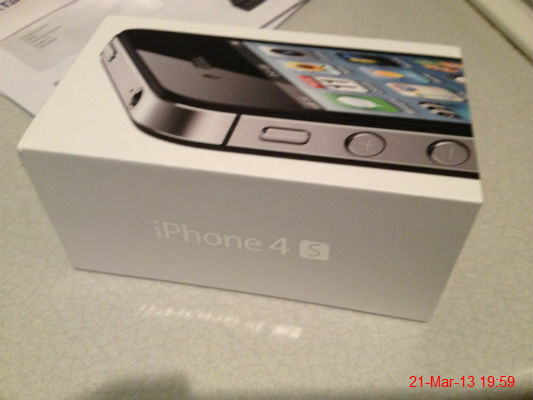 I've finally got a new phone for the first time since 2007 and I can retire the one I've borrowed from Nasser for the past year. Time to embrace technology! 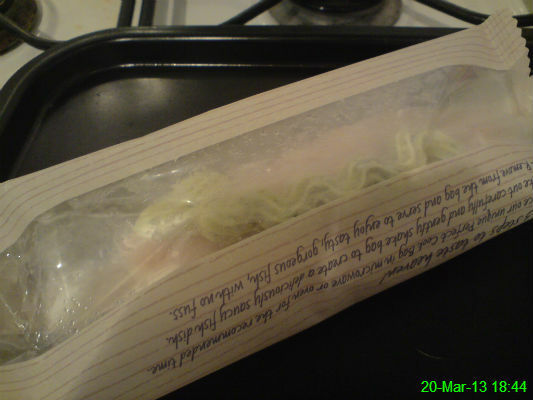 A fairly straightforward tea tonight: Birds Eye Bake to Perfection Haddock Fillets with white wine, wholegrain mustard & spring onion sauce. 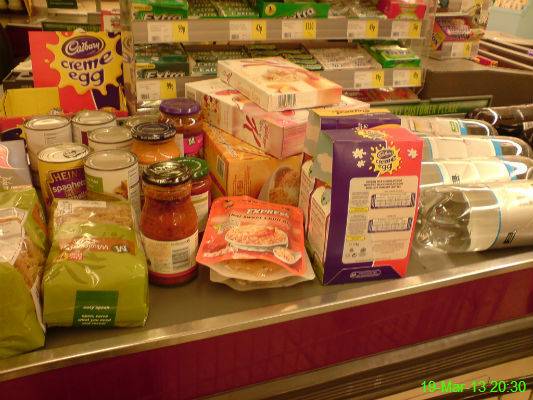 Since I got paid today I had a trip to Morrisons for the "big shop" and stocked up on heavy/bulky things which aren't too easy for me to carry on foot. Oh, and a few Easter Eggs. Special thanks to my mam for acting as my chauffeur! 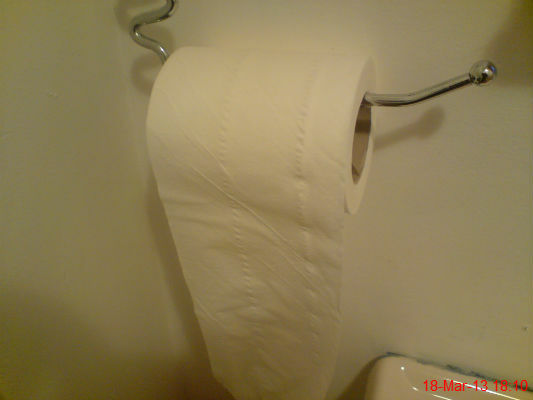 I saw plenty of this today because I've been suffering with an upset stomach. Nothing too serious, thankfully. 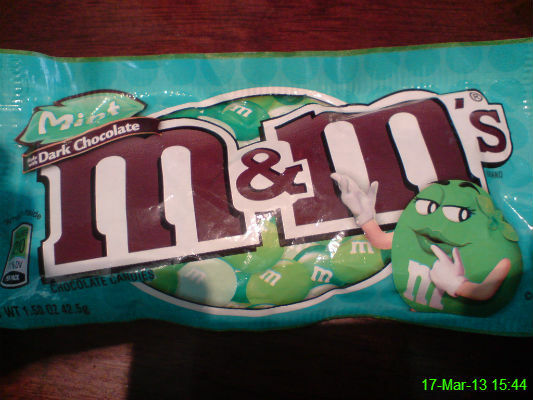 I had a wander round the American sweet shop in Eldon Square and couldn't resist buying some different M&M's to try. I've always been something of a loner, though I do my best to remain sociable as often as possible! Presented with the house to myself for the evening, I decided to sample a few different ciders and listen to some old CDs that have been gathering dust for too many years. 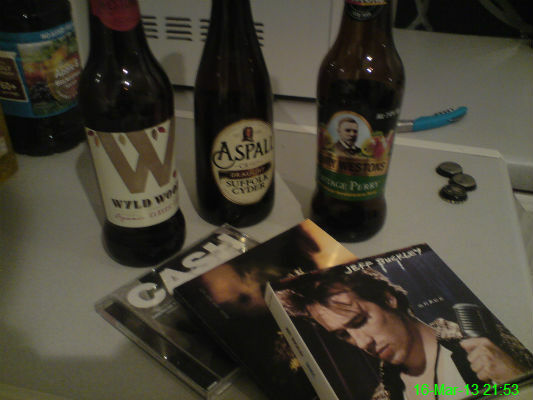 Johnny Cash - American VI: Ain't No Grave, Pearl Jam - Riot Act and Jeff Buckley - Grace are the perfect accompaniment to a few quiet sups of cider. These days, with technology all around, it's not often I sit and listen to a full album so I've thoroughly enjoyed doing so tonight. Note to self: make it more of a regular thing! I took this photo a few times and annoyingly even the best one came out a bit blurry. I hope it's my sub-standard photography skills and a poor phone camera rather than the ciders ranging from 5.5-7.2%! 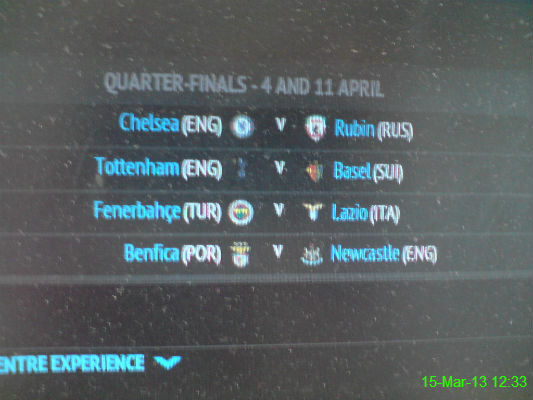 The quarter final draw took place today and Newcastle are off to Portugal. I realised after looking at this photo that my work computer screen is absolutely filthy. 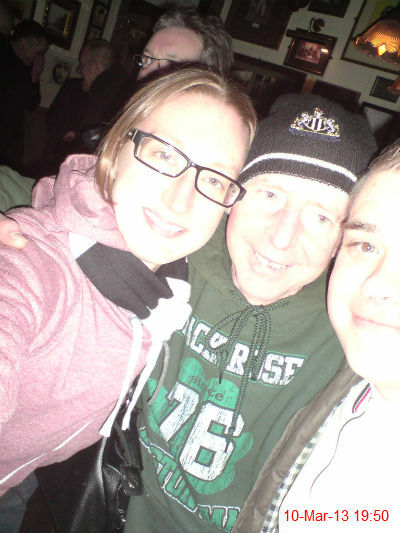 A jubilant South East Corner celebrates Newcastle's progression to the quarter finals of the Europa League. 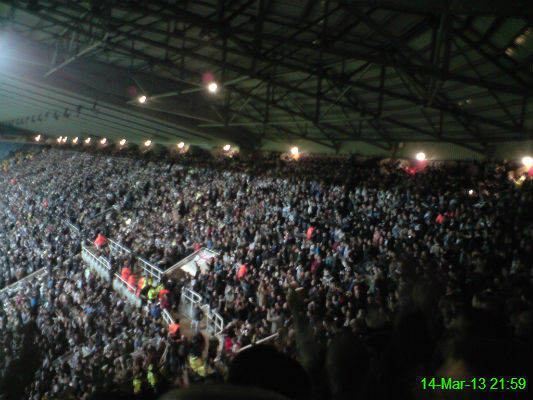 Cisse scored a beautiful header with the very last touch of the game to give us a 1-0 win. The crowd went suitably wild! 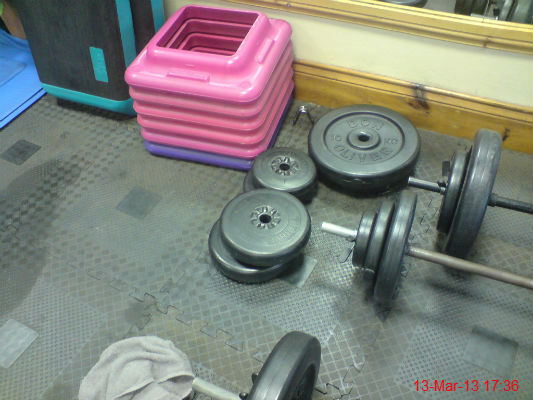 Random gym equipment, which I'm not using at this moment in time. It just happened to be in front of me. Pet hate time. 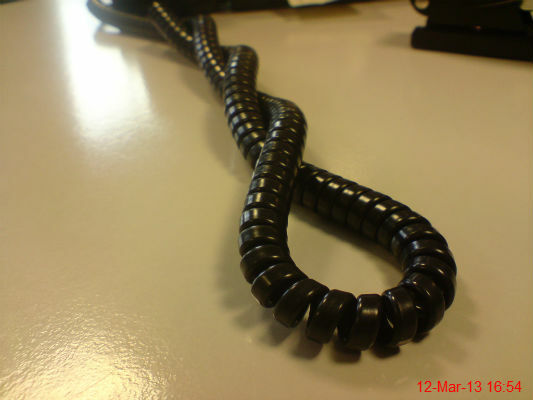 When my phone wire gets tangled, I go crazy. It's infuriating! 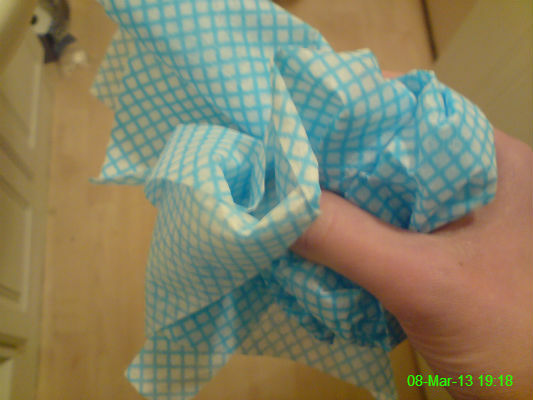 Keeping my hands at a normal temperature is a constant effort and hopefully these gloves which my Mam gave me will help. 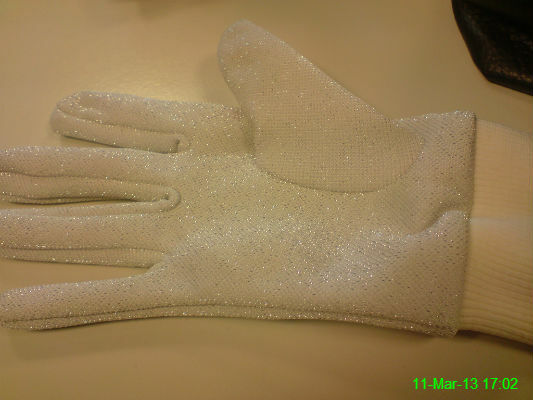 Even if they do make me feel a bit like Michael Jackson. Billy is part of the furniture in Rosie's, and today we celebrated beating Stoke 2-1 with a last minute goal. 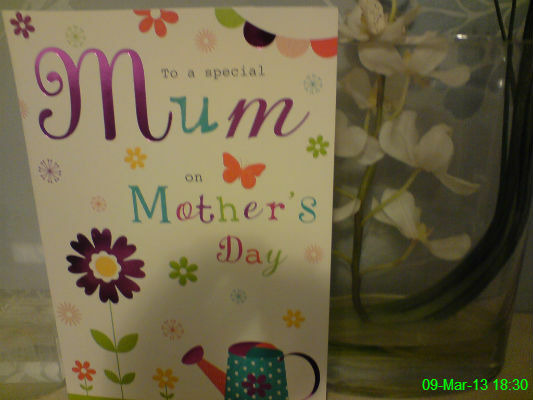 Once again, Newcastle have a match on Mother's Day so my Mam allowed me to celebrate a day early. Yet more proof that she's the best mother anybody could wish for! I haven't always been the best daughter but somehow we've muddled through and reached a really good place. And I'm not just saying that because I know she reads this site..! This is how all the cool kids spend their Friday nights. Or at least that's what I tell myself.. 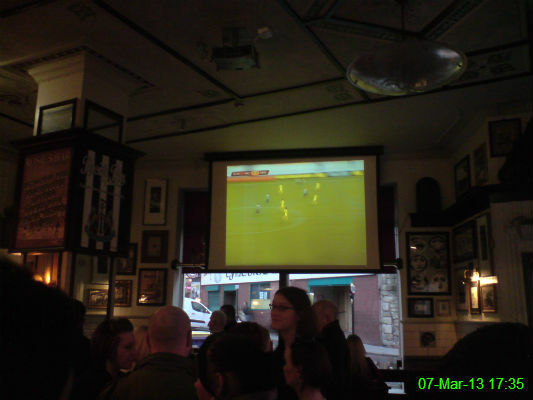 It was a mad dash out of work to watch the away leg of our Europa League tie in Rosie's in a 5pm kick off. A decent result, all things considered, but still leaves plenty to do in the home fixture. 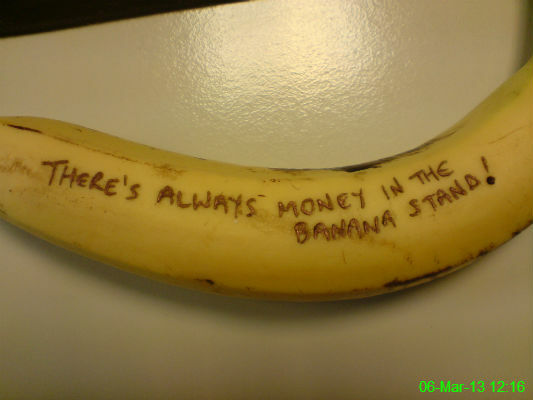 If this doesn't mean anything to you, I suggest you watch the TV show Arrested Development. Actually, watch it anyway. It's brilliant. 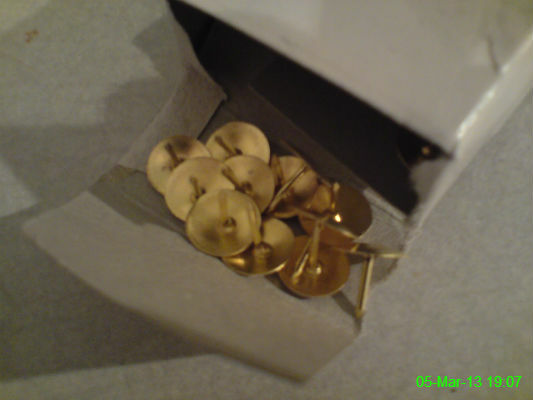 I found these pins, which will come in handy for holding up the numerous takeaway menus we have on our noticeboard. I'm not even sure why we keep them all, because we always order using Just Eat anyway. 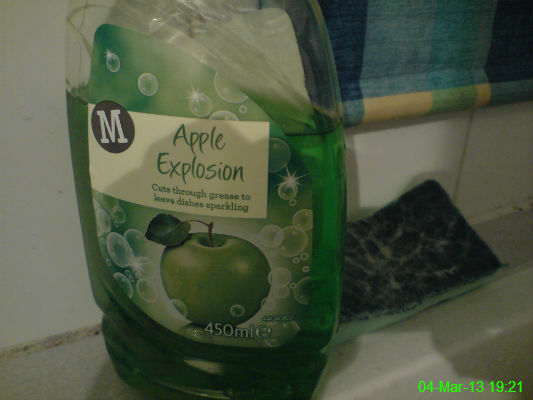 The smell of this is lovely but very close to what Apple Sourz smells like. Hopefully I won't find myself drinking it in a moment of confusion. During yesterday's shopping trip I put an Eldon Square voucher towards these items from New Look. A hooded jacket, a cardigan and 3 pairs of socks. I only ended up having to pay £3.98 which I was pretty pleased about. 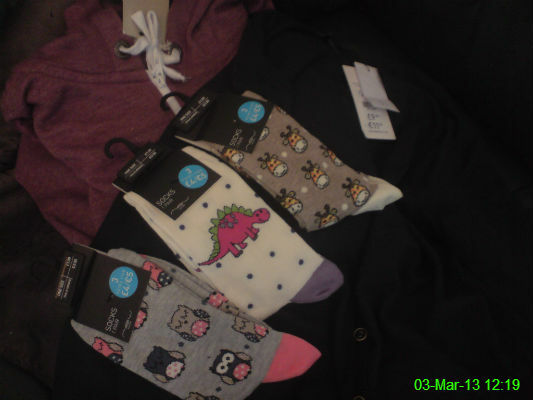 I haven't bought any new socks for a while, and when I saw the giraffes I just couldn't resist. Today I'm wearing dinosaurs. 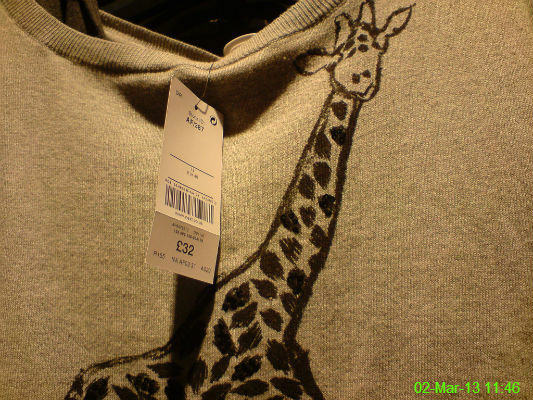 This top from Next (which I didn't buy) sums me up completely.. a giraffe and a number 32. Both of my favourite things! 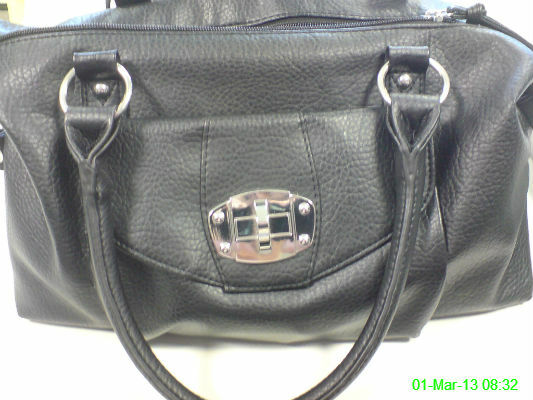 Another recent purchase: a handbag to replace the mangled looking one with the broken zip.